Billie Jean Hinton, 84, of Channelview, Texas, passed away on Thursday, October 25, 2018. She was born on June 26, 1934 in San Antonio, Texas, to Robert McCulloch and Harriet Wade McCulloch. Billie worked as an LVN and then went on to become a construction supervisor. She was opinionated and didn’t hold her thoughts back. Billie enjoyed woodworking, painting with oil and watercolor paints, and dancing. Billie will be dearly missed by all who knew and loved her. She is preceded in death by her beloved husband, Bob Hinton, Sr.; parents, Robert and Harriet McCulloch; son, Jimmy Placker; and granddaughter, Tammi Askew. 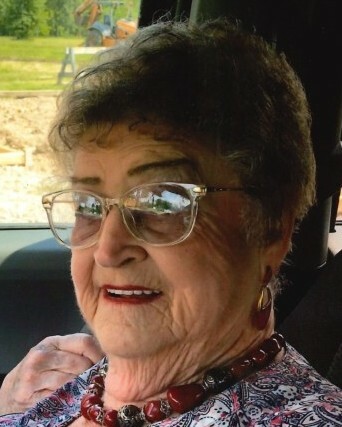 Billie is survived by her children, Oscar Placker and husband Eldridge, Michael Placker, Carol Askew and husband Charles, and Evonia and husband Robert Hinton Jr.; ten grandchildren, nine greatgrandchildren, one great greatgrandchild; her spoiled dog, Ruby; and a host of extended family and friends. A visitation for family and friends will be held on Thursday, November 1, 2018 from 11:00am - 12:00pm at Sterling-White Funeral Home. A Celebration of Life will follow at 12:00pm. Arrangements have been entrusted to Sterling White Funeral Home, 11011 Crosby-Lynchburg Rd., Highlands, Texas 77562. To send the family condolences please visit www.sterlingwhite.com. In lieu of flowers, memorial donations may be made in Billie’s memory to the Juvenile Diabetes Research Foundation, www.jdrf.org.